I am an avid user of dry shampoos. It means less time washing my hair and more time sleeping. So I thought I would do a face off/round up of my faves, what I think works and what doesn't, what's worth the money, and what isn't. 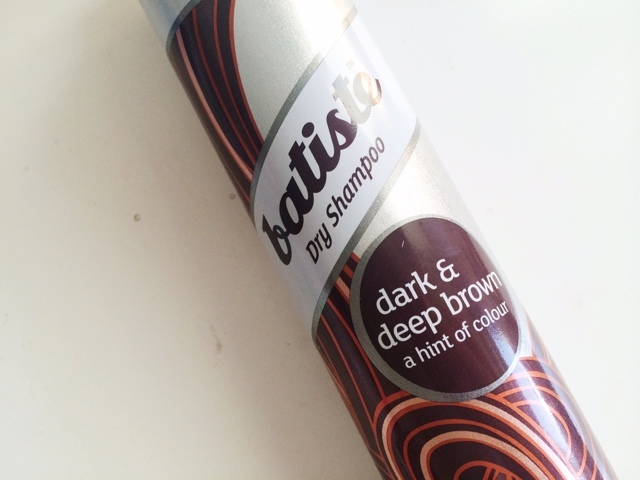 ...this which is the Dark & Deep Brown formula, and they have one for blondes, light brown and red and black and they don't leave the white cast in your hair which let's be honest, it's caused far too many embarrassing moments where I've gone out and still have a line of dry shampoo so my hair just looks grey. Am I the only one? I hope not. But if you're looking into the world of dry shampoos, I definitely recommend this brand as your starting point. Sheer Invisible is exactly that, a weightless, invisible spray that absorbs oil and refreshes your hair without leaving any residue or tacky feeling behind. Paris (Jasmine, Rose & Patchouli), London (Bergamot, Musk & Magnolia), Monaco (Neroli, Amber & Lemon), Rio (Papaya, Pineapple & Cassis), New York (Apple, Melon & Amber), and Tokyo (Orchid, Mandarin & Sandalwood). 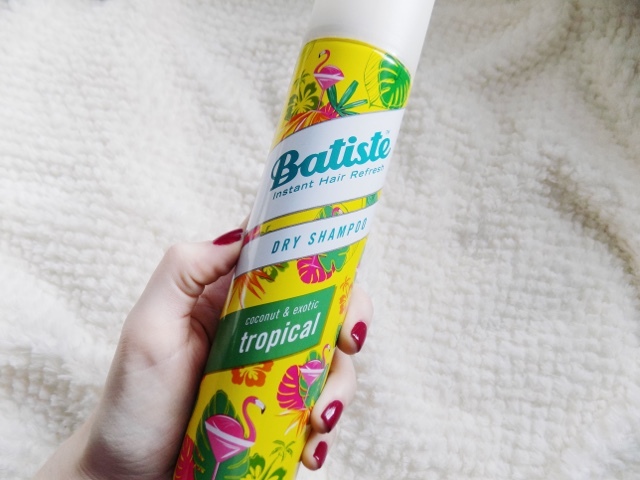 I really love this dry shampoo, although I find it's best to use it the night before, although in the morning is still okay and still works well, I just find if done before you go to bed, it has more time to absorb the oils. But it still does it's job before styling. Plus, they now have mini travel sizes which are great for your handbag or flight bag or something when you travel. As for the Extreme Volume, it does what it says on the tin, it gives flat and limp hair a boost, giving texture and lift whilst still refreshing the roots and absorbing the oils. This stuff is just as good as the other range and I am all for volumising products and this does a great job. 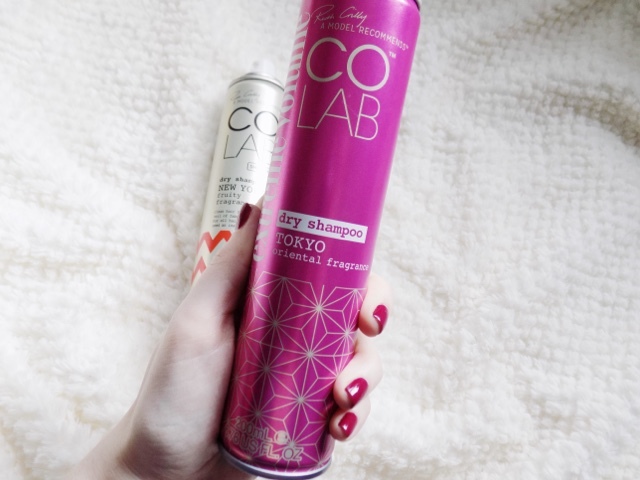 I do find with the CoLab dry shampoos that I get a lot of product build up so I have to use a more clarifying shampoo if I use this regularly. 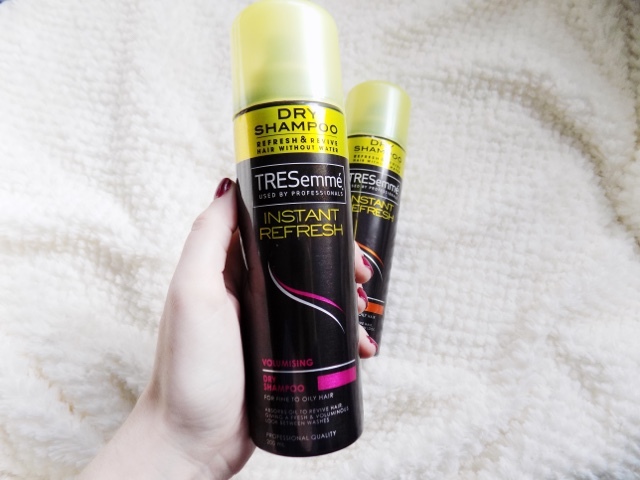 Possibly my favourite dry shampoos ever, are the ones from TRESemme. 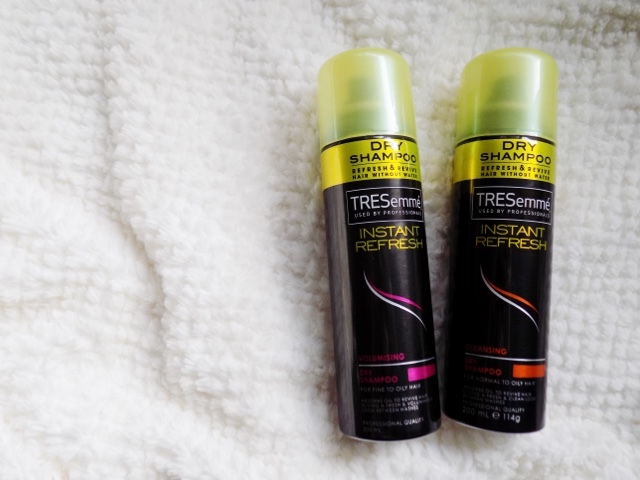 They have two which I prefer, as part of their Instant Refresh line, the Cleansing formula and the volumising formula. They also have a translucent one but I can never seem to find it in stores. Plus there are only £2.99 so even cheaper than Batiste. The Volumising formula has mineral clay and citrus to revive the hair and mask the excess oil and also eliminates odour so your hair just looks refreshed and volumised. It's a weightless spray so it doesn't drag the hair down making it look even more flat and limp and doesn't leave a residue. The Cleansing formula refreshes your dry or dull hair, absorbing oils and leaving you with fresh, clean hair with minimal residue left behind. These don't tend to have much build up in my hair so when I use these, I don't have to use a clarifying shampoo as often. 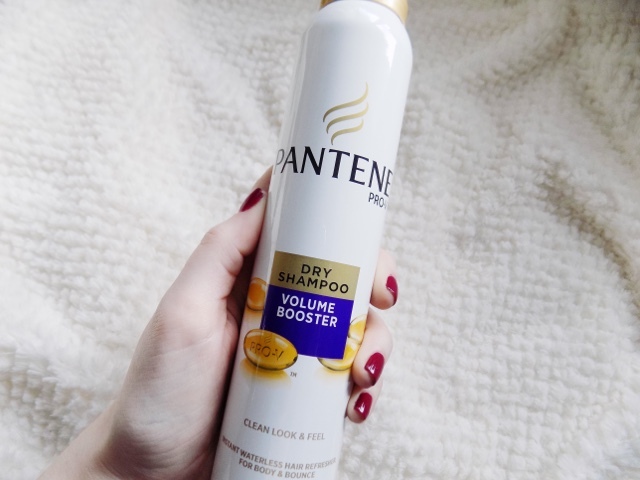 The Pantene Volume Booster Dry Shampoo isn't one I hear too much about and it's pretty good and does what it says on the tin. I found after using it and leaving it for a while, although it did provide volume, my hair felt sticky and almost looked oily again. So not my favourite unfortunately. They do have a colour treated one though so I may have to try that as these are only £3.99 so they don't break the bank. Some of the ones that I don't have to hand is the Aussie Mega Instant and Aussome Volume which I was very disappointed with. It didn't get rid of any oils, just made my hair feel weighed down with product and just not nice. 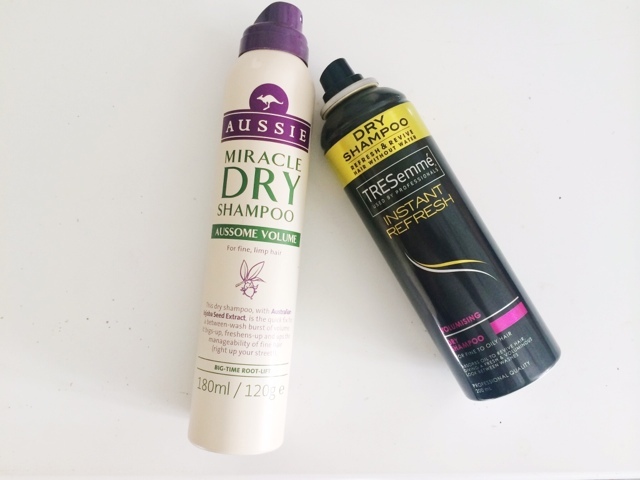 But the reason I purchased the Aussie Dry Shampoos is because they said they were weightless, gave body and lift to your hair and improves manageability, all without any water, shower or time that you just don't have. But it was the opposite and just made my hair look even more greasy and gross. Considering they're £4.71 you would expect more from them, well I did. I like a lot of Aussie's products, but these just didn't work out for me. The Herbal Essences Dry Shampoo Ignite My Color is £2.99 and again, not much to say with this either. It smelt okay, very artificial kind of floral scent so it gave me a headache whenever I used it and made my dog sneeze - she doesn't sneeze with any of the other hair products or anything that I use. 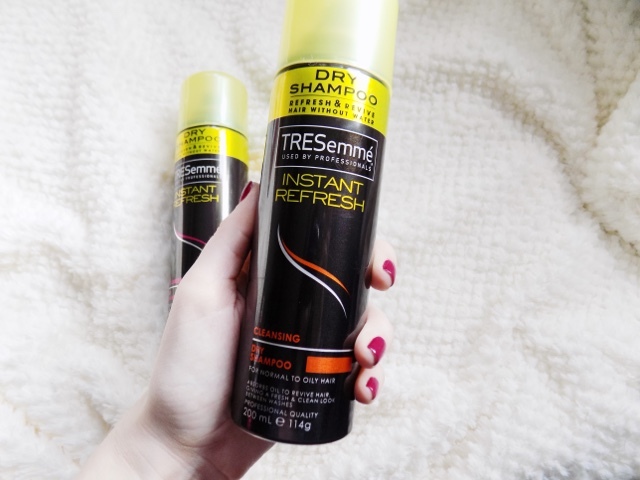 It is however targeted for coloured hair so the colour doesn't get washed out, and looks refreshed and ready to style, so I do like that side of this product. 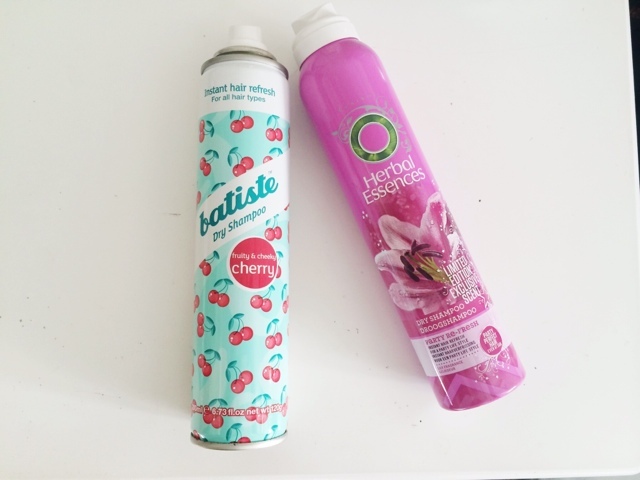 Most of the brands mentioned today have some great shampoos and conditioners, but when it comes to dry shampoo, Batiste and TRESemme are by far the best and my absolute favourites and I think they should stick to what they're good at. 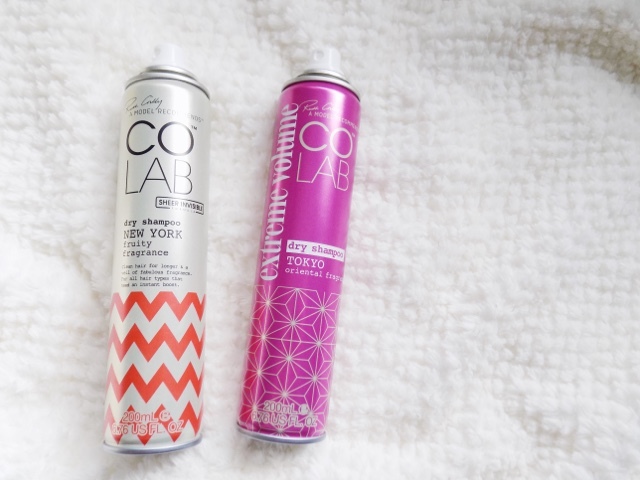 I have also tried some other dry shampoos like the John Freida Luxurious Volume Refresh, as well as the Toni & Guy Casual Matte Texture, both of which are really great, they are a tad more expensive than the others mentioned but not a massive amount. I also find locating these ones to be slightly more difficult so I just go with what I can find. 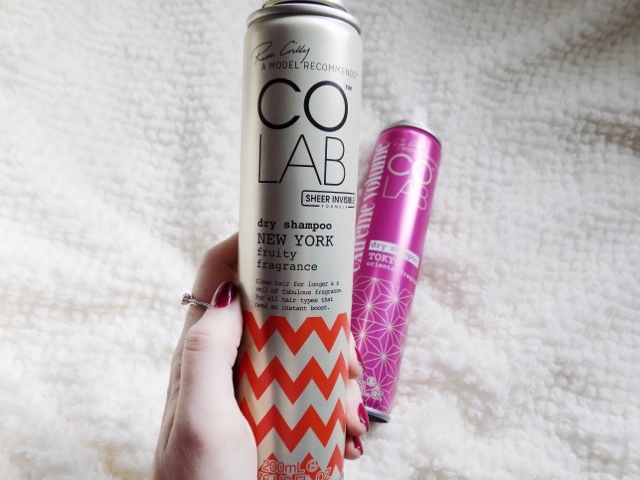 I hope you have found this helpful and let me know what your favourite dry shampoo is. 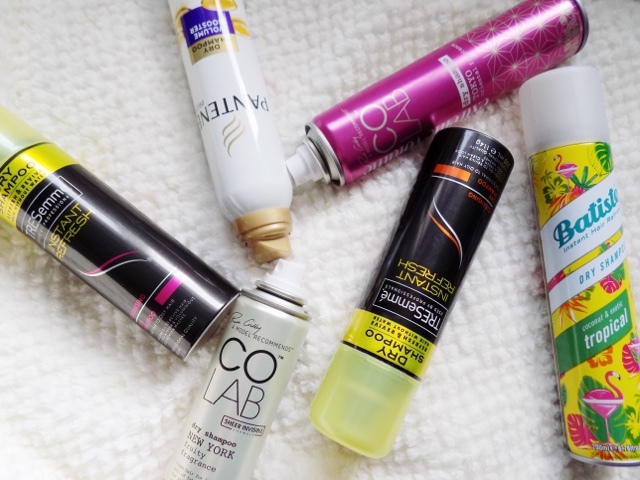 Have you tried any of these dry shampoos? *Disclaimer - All opinions are honest and 100% my own, I have not been asked or paid to write this post, it is not sponsored and their are no affiliate links in this post. All products work differently for different people so what works for me may not work for you and vice versa. I love products from these brands and use them regularly, so I am not bashing the companies or brands at all.